Are you tired of throwing away your entire marketing budget? Are you tired of not getting an ROI on all of your marketing initiatives? Don’t worry, you are not alone. 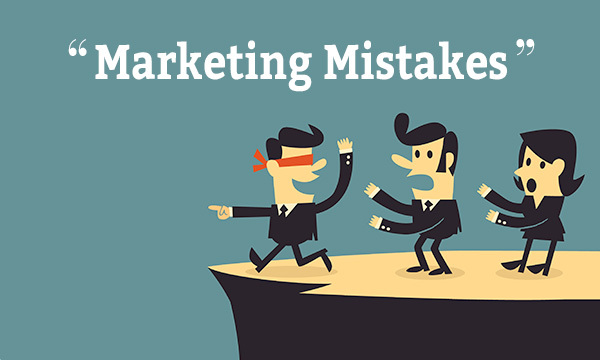 Here are 7 mistakes marketers make and some insight on how to correct them. If you are reading this post right now there had to be something that forced you to click that button. Was it my subject line? My last post mentioned the term “always be closing” for salespeople. The comparable for marketers would be “always be publishing”. If you are looking to attract people to your social network, blogs, newsletters etc, you have to make your marketing content stand out. Do you want to hang out with the person on the dance floor or the person sitting across the room sitting on a chair? Therefore, when sending out content, make sure that if you were the reader you would get the WOW factor when reading content. I like to hire people that are passionate and strategic and not necessarily have 15 years of experience. If 2 million people are doing the same thing and you have 1 person doing something different, who will be recognized? Yes, I always like to hire and think outside the box with every marketing decision I make. The world has tons of blogs, tons of advertising, tons of similar companies. Be that person on the middle of the dance floor dancing by yourself and watch the clients come to you. As much as you love your product and want to sell it, most people don’t care after just one conversation. I really hate when people talk or tweet only about their product without providing knowledge of other products or industry news. Everyone wants to learn, so please start tweeting about other stuff than the $20 discount you are providing today. Tweeting is like having a baby, you have to monitor and let it grow naturally. This is the most important aspect of marketing. Anyone can send an email, post a blog, cold call, or pay Google thousands of dollars for digital marketing. However, most marketing are happy with results without knowing what their analytics are for each campaign. It is more important to see what your analytics are after your marketing campaign than your actual marketing campaign. Always look at your delivery rate, conversation rate, ROI rate, etc. from all of your campaigns and this will help you save thousands of dollars and hundreds of hours of your employees. Not only do you have to worry about your word count on your email marketing campaigns, but also focus on your subject line. Similar to when you are going to buy a house, what is the first thing you see? If you answered the front of the house you are correct. Therefore, when you send an email to a prospect they will see your subject line. Make sure it is attractive and if someone sent you that subject line you would click to read the email. Listen, anyone can purchase $10,000 worth of marketing data, $5000 on marketing automation, $2500 on email marketing, $1000 on Google AdWords. If you are looking to get an ROI you must have a strategic plan on what to do with all of your new marketing tools. Therefore, putting your credit card on a form and paying is the easy part. 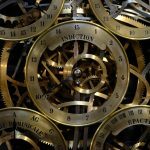 Make sure you have a strategy with quality content, marketing automation, blogs, digital ads, and a strategy associated with all of them so that you can actually get an ROI on all your new investments. My biggest mistake was not starting my social media 1 year before I even launched my product. Social media is NOT only for sales. It is also a ways to get brand awareness for your products, and in most cases it’s FREE. Therefore, if you are not on all your social media channels reaching not the millions but billions of people you can reach out to, stop reading this email and build your social media campaign now.